Primal Force Vinpocetine Review: Vinpocetine Staves Off Dementia, But Is That All? Primal Force Vinpocetine, as the name suggests, is primarily a vinpocetine supplement with a few other ingredients added into the formula. Namely, these are gotu kola and butcher’s broom. Together, the effects are supposed to mirror those of a straight vinpocetine supplement. 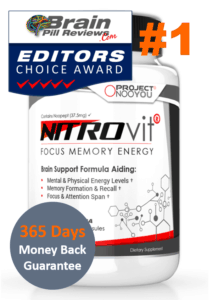 Many of the people who read this website are aware of the proven benefits of vinpocetine, but taking a dedicated this supplement does not have many of the unique benefits of a modern nootropic regiment. We took these things into consideration as we reviewed Primal Force Vinpocetine and its founder Dr. Al Sears, M.D. 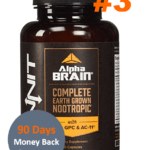 While there is no information on who is making it or where it is made, the only address that is consistent with this supplement is in West Palm Beach, FL. Dr. Al Sears is a real doctor who has designed his own line of supplements. We did some research into Primal Force Vinpocetine’s website, and found that Dr. Sears is featured prominently there. Upon further research, we found that the domain name is in fact registered in his name, with further contact information directed towards someone named Cindy. The domain name has been registered since 2006 and has been renewed through 2018. This is a good sign for people who are interested in buying from Dr. Sears. There are some issues that we need to address with this supplement. Primal Force Vinpocetine is manufactured somewhere, but no one can find out where. Thus, we cannot confirm if it is made in a certified GMP lab or not. 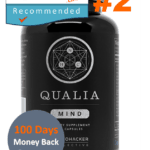 There are not many external reviews for this product, so we are skeptical that it really does much of anything for those who take it. Thus, Dr. Sears seems to be focusing more on heart monitors, DVDs, and e books. He has several of these for sale on his own website, which is related to the Primal Force website. Overall, we were encouraged to find out that the man featured on the website is the man who is managing this enterprise. 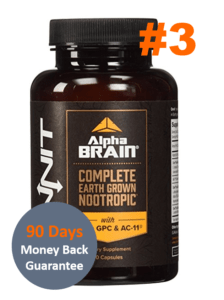 Dr. Sears seems respectable enough, but even respectable people do not necessarily know how to create effective nootropic supplements. It features vinpocetine, which is known for its ability to stave off dementia and other cognitive issues. 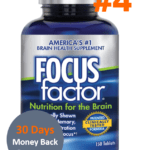 There have been significant studies to show that it has properties that help the brain function better, including research sponsored by the National Institutes of Health (NIH). 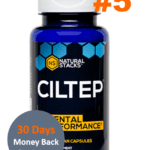 Despite these known benefits, vinpocetine on its own has very little to do with achieving optimized mental performance. If you do not have dementia, then taking a dedicated vinpocetine supplement will not do you much good. Primal Force Vinpocetine is a vinpocetine supplement, so if you decide to purchase a bottle or three, do not expect to feel noticeably more alert, focused, or smart. In fact, the positive properties are best matched with a potentiation substance like caffeine or guarana. Dr. Sears does not mention this at all, possibly because he does not want to detract from his supplement as the sole focus. 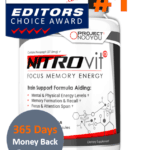 However, our job is to review Primal Force Vinpocetine and inform readers of every aspect of this supplement. As we suspected, taking Primal Force Vinpocetine did little for the people on our review panel. 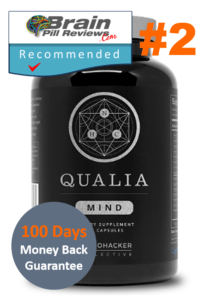 We are not a hospital full of patents – we are professionals trying to ‘up our game’ with the latest nootropic substances. Accordingly, the strict vinpocetine formula was unable to increase our focus above a normal level. We struggled to find words and were not able to work faster than we could without the supplement. Based on our findings, we can recommend Primal Force Vinpocetine as a sort of addition to your multivitamin. However, if you are convinced about the efficacy of vinpocetine as a substance, then we recommend buying the raw vinpocetine and mixing it into a fruit shake or a glass of water. This way you will be able to adjust the quantities to your needs. At 10mg per serving, Primal Force Vinpocetine may not have the right amount of active ingredient for your physiology.